Well, what a busy month. 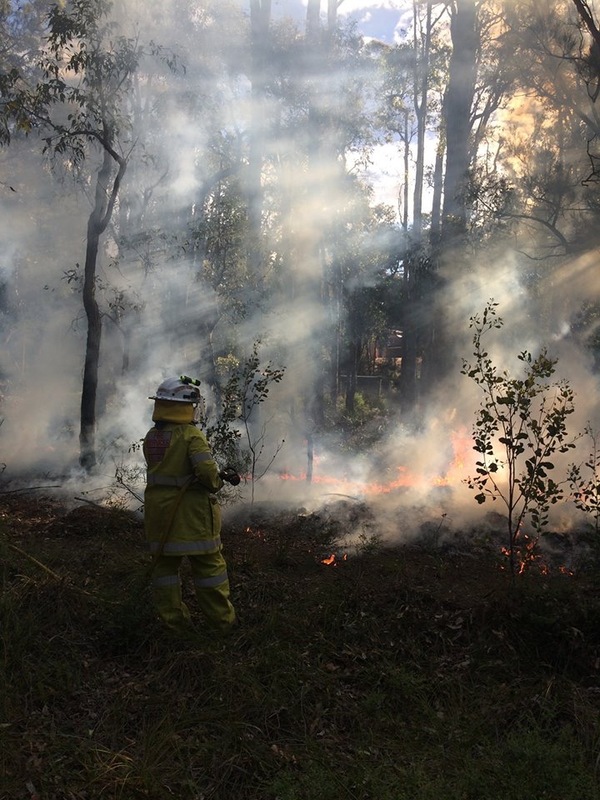 Firstly, we did so many Hazard Reduction burns that I've lost count! 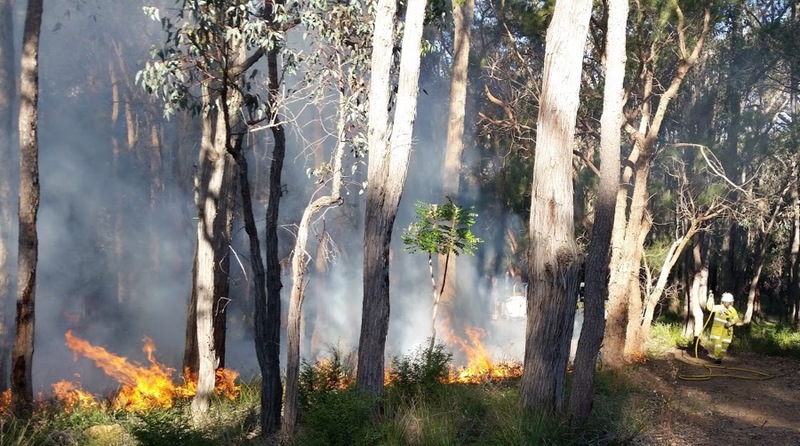 Some were done on private land for residents, some were done in concert with other brigades, and some we went to when the Shire asked for extra helpers to do burns on Shire land. The work rate and dedication of our members to turn out time after time for these burns has been absolutely amazing. Many thanks to you all! Here is Mirline with the new hose from the Light Tanker. Here is a great night scene taken by Gogs. Here are some cracking good smoky sunset shots that Michelle got of Drew and Mirline. 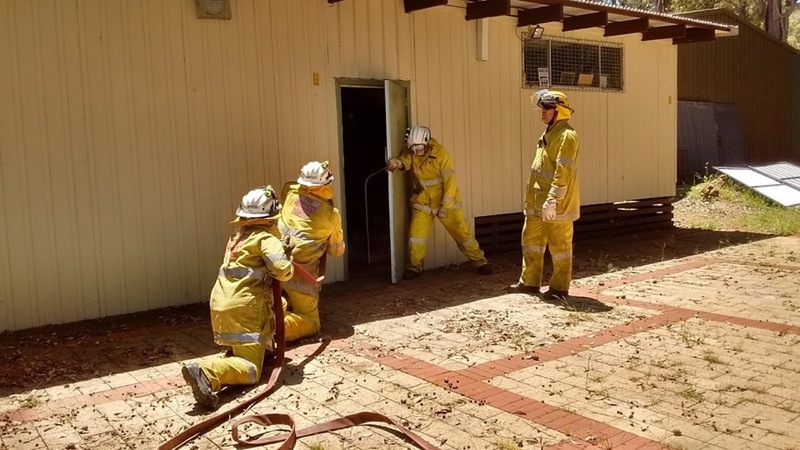 In training news, we had five members complete the Structural Course at the Mundaring Fire School. Andy, Elton, Andrew, Craig and Jenny found it a fascinating course and well worth the time and effort. 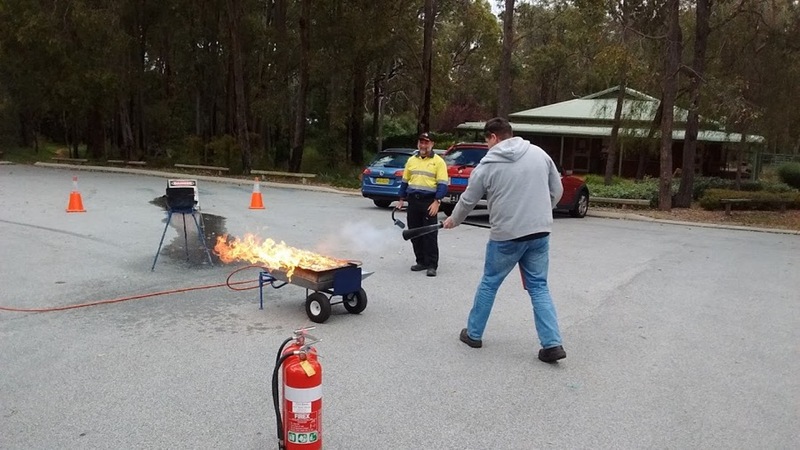 Here's Craig tackling the Fire Extinguisher under MFS Instructor Ricky's watchful eye. Husband and wife team, Jen and Craig, tackle the way to open the door into a possibly burning structure, with Andy at the door and MFS Instructor Phil looking on. We also had a fun morning doing a map and GPS navigation exercise that saw the two teams in appliances heading out to find the 'prizes' that Captain John had hidden for us earlier, using only Eastings and Northings. Here is Jenny, our driver of the morning, checking the GPS. 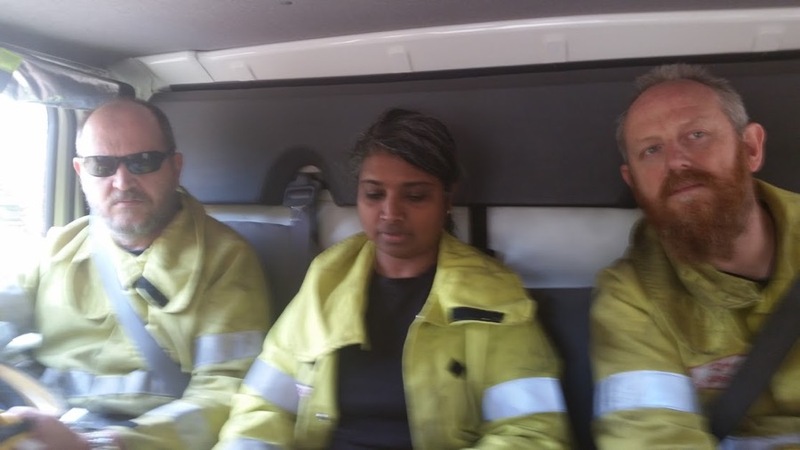 And here are our very focused map readers, Rob, Mirline and Elton, in the back seat. Don't be misled by their serious faces, there was lots of cheering when we found the prizes! We have also turned out to some fires as well, but luckily so far nothing too dramatic. 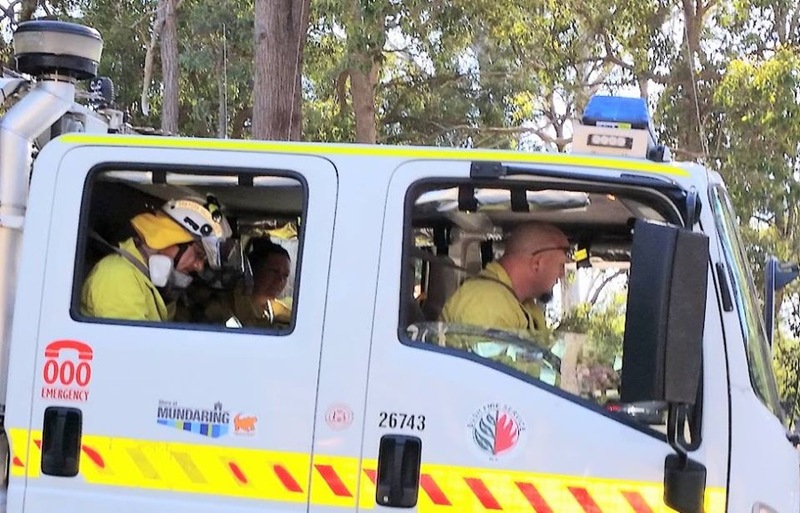 Here is the 1.4 team this morning getting ready to head out for a fire that turned out to be fairly quickly vanquished, thank goodness. 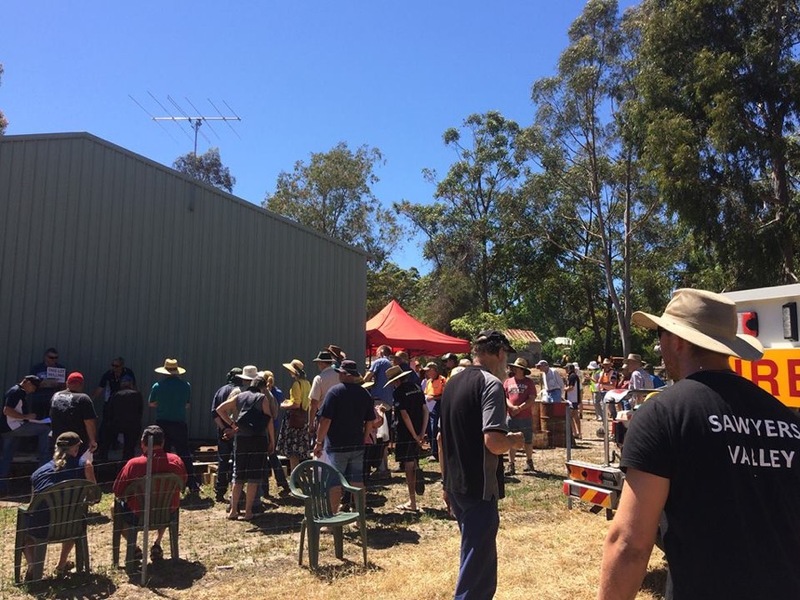 Just to show how versatile we are, this month we turned our hands to food preparation as well, and fed a multitude of people at an auction. It was a punishingly hot day, so special mention must go to those troopers who put in long hours at the BBQs; Colin, Pierre, Captain John, Nick and I'm not sure who else because I went home (piker!) but anyway you were all wonderful and so was everyone else who came along to help. Not content with being a great Treasurer for the Brigade, Jen Gardiner did an amazing job of organising and managing the huge day. We love you, Jen! 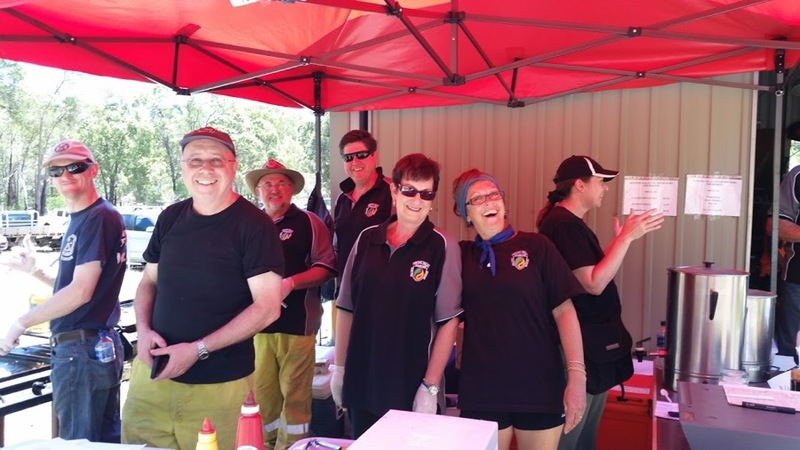 Here are some of the happy "Fireys Cafe" team. We have a new member, a very very welcome one. 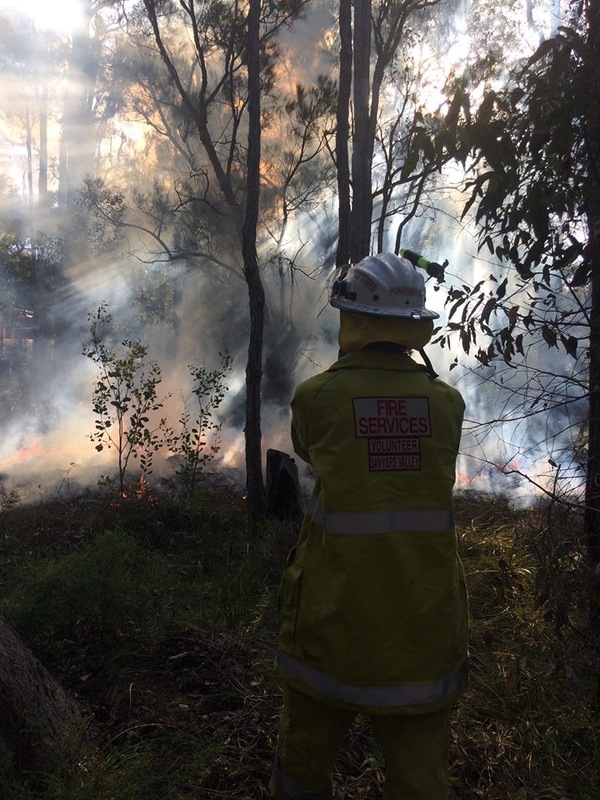 Nick has been a Firey up North and is fully qualified already. 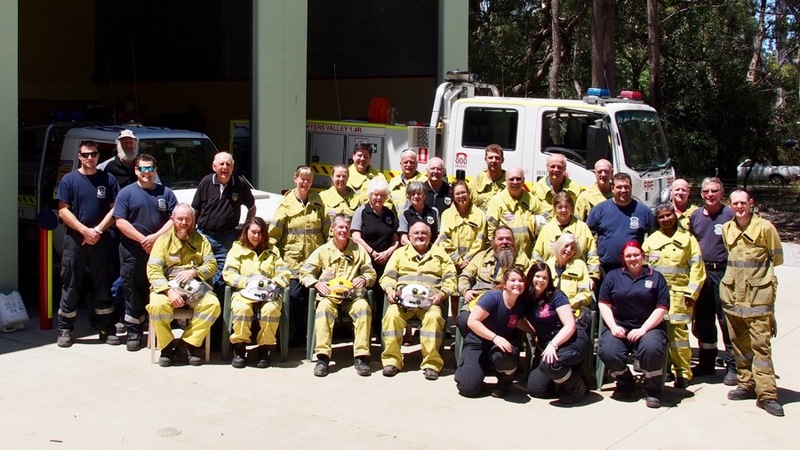 He has fit into the Brigade in no time at all, and has already been to some HRBs, a fire call-out, and even wielded the tongs at our auction fundraiser. That's him on the left side there. He's obviously a person who can handle heat of all kinds even a BBQ on a sweltering day. 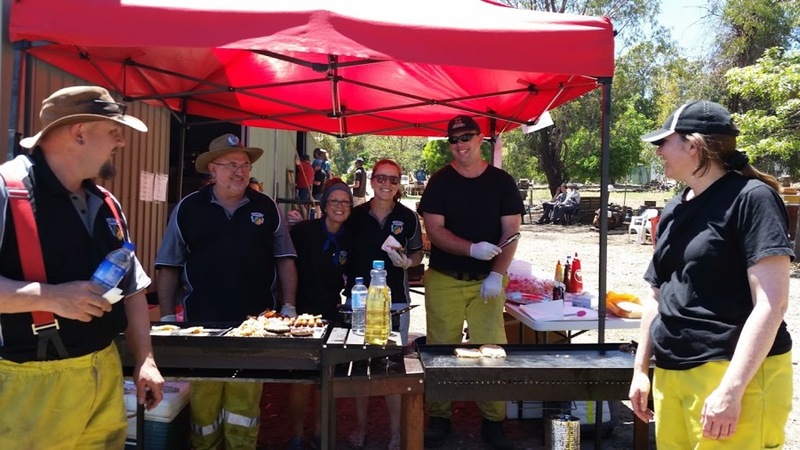 We also had a lovely social event or two, including a lunchtime BBQ after Schedules that saw members of the on-roster Mundaring VFRS team come to join us. Thanks for your great company, guys. See you on the fireground! 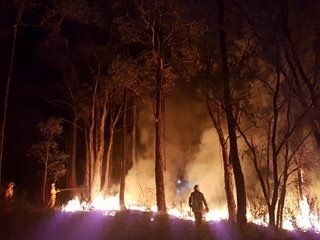 Our other Nick, Keith, Angus and Captain John all took turns being available to write many permits to burn for residents in the last two months. It is a routine job that must be very hard on the patience but they do it Saturday after Saturday. Good on you, guys! The temperatures of the last few days have put paid to any chance of further permit burns this year, and the Prohibited Burning Period begins on the 1st of December anyway, so please save your garden waste till next winter, or even better, take it to the tip for free so it can be turned into mulch. Summer is well and truly here, even though it isn't official until Thursday. Have a wonderful and safe Christmas, and remember to put your cigarettes out only in an ashtray, and to keep your eyes peeled for people acting suspiciously. 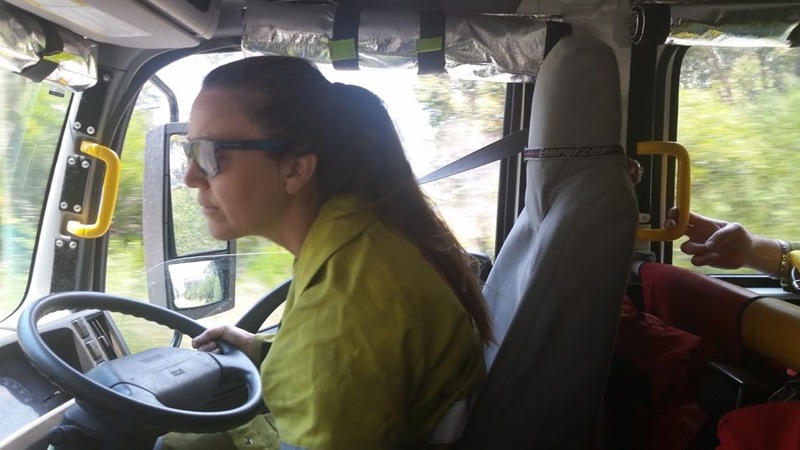 We would all love a fire-free December and holiday period, especially all the many thousands of dedicated Emergency Services Volunteers and Workers who would prefer to be at home with their loved ones. 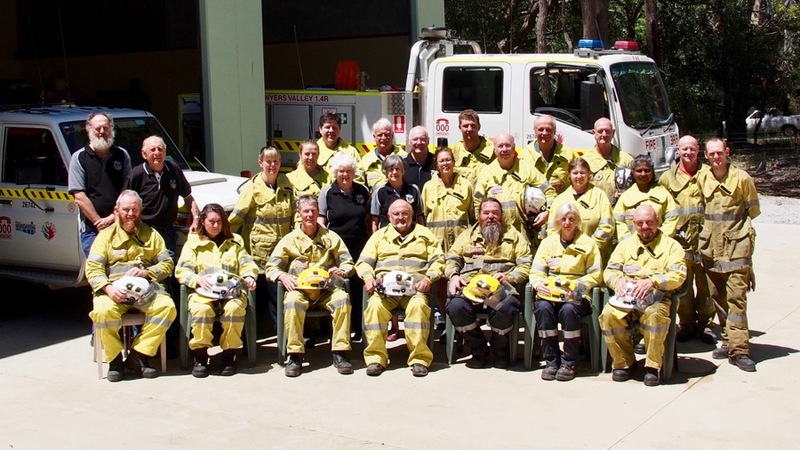 It is impossible to get everyone together at the same time, so here are just some of the many wonderful people who will make up the Sawyers Valley Brigade team heading into this year's Fire Season. We appreciate you all, every one of you, both those in the photo and out of it! Many thanks to Michelle, Gogs, Tina, and Andrew for the great photos and to everyone who sent in photos this month. I had so many I had to pick only some, and tried to choose ones that showed as many different people as possible. Don't forget, if you want to see a photo in the news, send it to me!